4.25" x 5.75" greeting card designed by Ashkahn studio in sunny Los Angeles, CA and letterpress printed in beautiful Portland, OR. 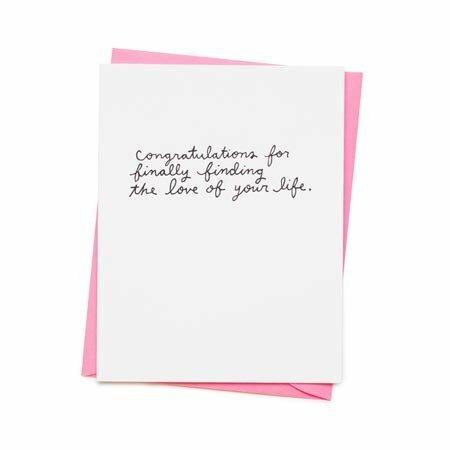 Front reads, "Congratulations for finally finding the love of your life." Blank on the inside. Printed on recycled paper.